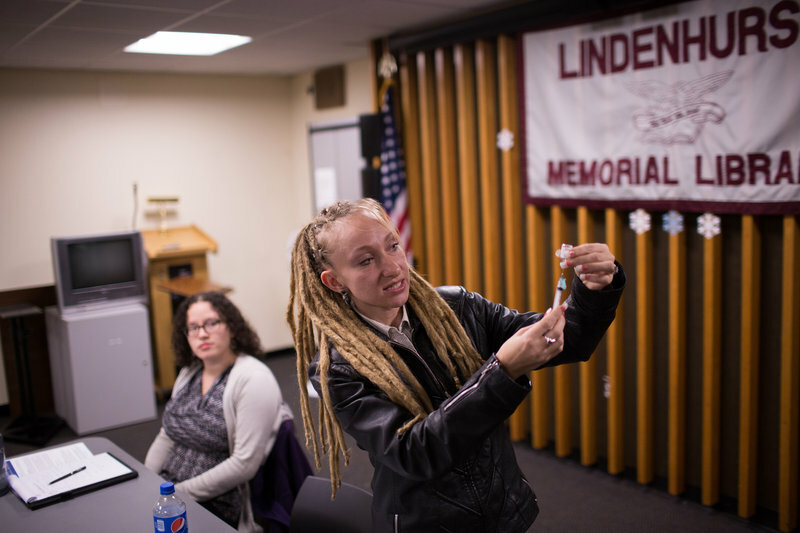 Tina Wolf demonstrates the use of naloxone to community members in Lindenhurst, N.Y., during an overdose prevention training. Georgia Dolan-Reilly (left) of the Suffolk County Prevention Resource Center helped with the training. When Priscilla Graham-Farmer went to get her hair done in Newark, N.J., recently, she noticed the elevator in the building was broken, so she took the stairs. And that’s when Graham-Farmer saw him: a young guy sprawled out, not breathing.